Classic Roald Dahl tale The Witches is to be brought to life on stage in Chester this half term, courtesy of Tip Top Productions. They will be performing this magical tale at Chester’s Forum Studio Theatre from 21-24 February. 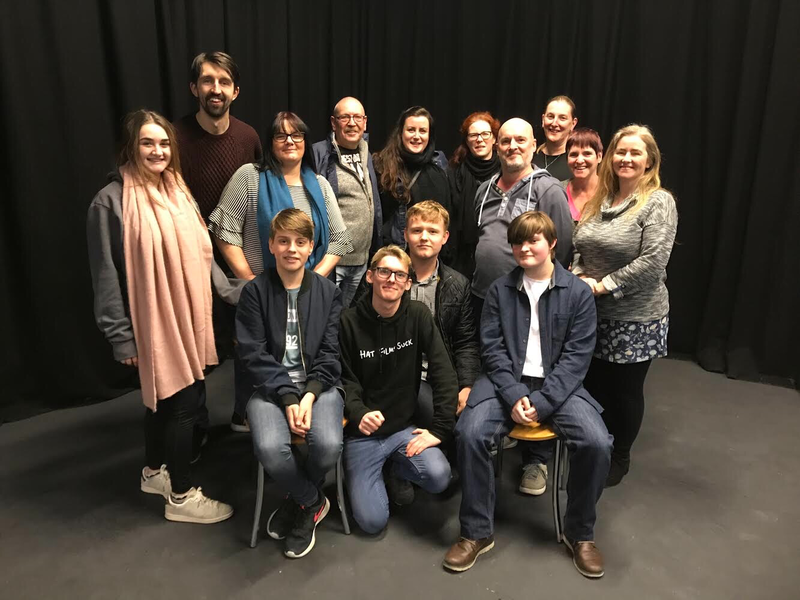 The play, which is suitable for ages seven plus, was adapted for the stage by David Wood and will be directed for Tip Top by Phil Cross, the creator of the popular Wizard School which took place at St Mary’s Centre recently for the second year running. Phil said: “Roald Dahl’s stories are perfect for the stage and The Witches has been a delight to work on. Kids and grown ups will be mesmerised by our gaggle of evil witches as they plot against the children of England. “I must admit that I was terrified of the film as a child and wanted to face my fears by putting it on stage at the Forum Studio Theatre. Full details about The Witches and all upcoming shows and events at The Forum Studio Theatre can be found at www.chestertheatre.co.uk where tickets can be booked online. Alternatively, contact the Box Office on 01244 341296. Photos courtesy of Tip Top Productions. Main photo: Cast members during a break in rehearsals for of The Witches (L-R) Eleanor Moulson, Robert Lyon, Lynda Cross, Ben Rackham, Chris Griffiths, Jake Cross, Fiona MacSween, Finn Hibbert, Kat Tanczos, Steve Cross, Zach Waddington, Caireen Candlin, Dawn Adams and Paula Condliffe-Hughes.